Doner is coming out, and it wants the world to know. The agency has chosen an amusing way to announce its move into a new office in Los Angeles via a not-so-humble request for lots of very, very generous gifts. Less than a year after naming new creative and executive leaders for its West Coast team, the MDC Partners shop is hyping its new digs with an "Office Warming Party Wish List" on MyRegistry.com. As the press release puts it (emphasis ours): "Aw, you don't need to get us gifts. No, really. Ooookay fine. Since you insist, here's our office-warming registry. Buy us things!" $100,000 for a "long-term private chef"
All jokes aside, the real purpose of the stunt is a celebration of the agency's growth. 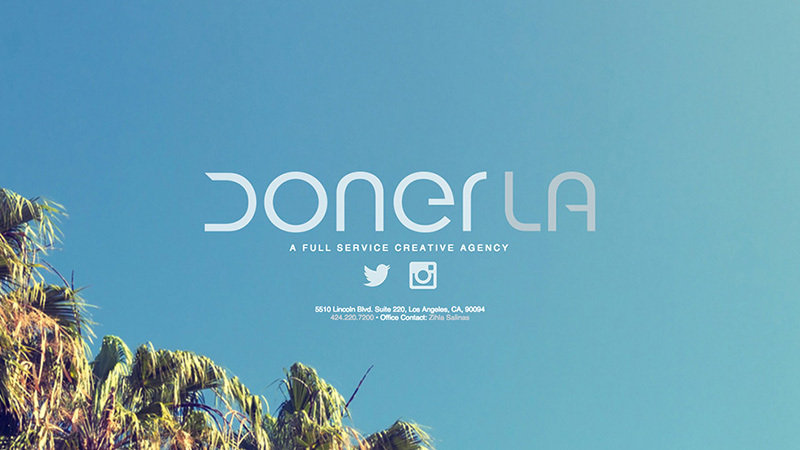 Over the past year, Doner's L.A. office won a pitch for lead digital duties on three Nestlé coffee brands, expanded its staff to nearly 40 and created campaigns for such clients as Neato Robotics and MSG Network. "DonerLA is a fully integrated, modern agency," evp, managing director Zihla Salinas tells AdFreak, "and not because the name sounds so cool but because the ever-evolving landscape of advertising requires it. We collaborate as a team, not as departments, to deliver breakthrough creative solutions." Clients will also benefit from this move: Since the new office is just off the Jefferson Boulevard exit in Playa Vista, they can save a few minutes by skipping the drive into downtown L.A. for account meetings. The value of the sunset views in a space designed by ARTS Awards' Interior Designer of the Year Erinn Valencich? Priceless.